Just as we anticipated, pop diva Cher was subjected to a torrent of online abuse over a tweet where she perhaps unintentionally echoed a 'white nationalist' talking point by saying California should take care of the tens of thousands of homeless living in the state before Trump sends migrants to its sanctuary cities. Apparently, liberal minded progressives are willing to tolerate such transgressions, unless President Trump draws attention to them by publicly tweeting his endorsement, revealing that the whole point of his 'plan' wasn't to actually send the migrants to sanctuary cities, but to expose liberal hypocrisy over immigration. Immigrants are victims of white supremacy, it seems, so long as they don't live in liberals' neighborhoods. 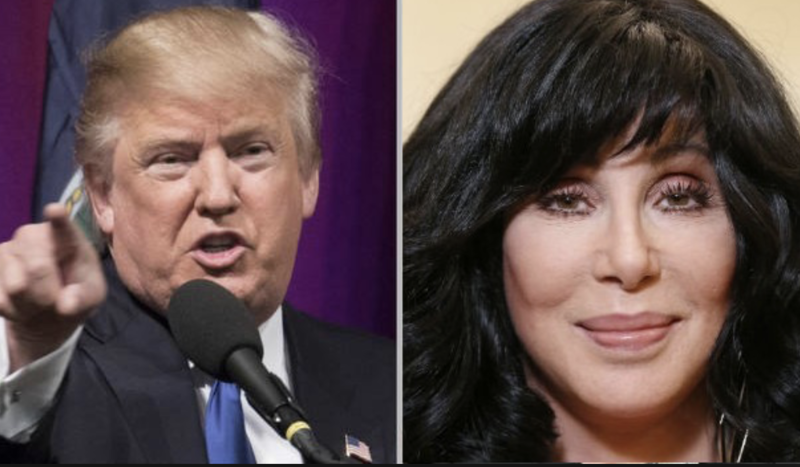 So in an attempt to assure her liberal fans that she was still 'one of them', Cher lashed out at Trump in a series of tweets that read like they were written by someone suffering from a terminal brain disease. Ironically, she accused Trump of being a 'lizard brained thug'. Using a nearly indecipherable combination of emojis and text, she urged Dems not to wait for Trump to come around...sincee he has a 'black heart and soul'. BUTCHER YOUR ENEMIES& CREATE CONSTANT MAYHEM. HE’S IGNORANT THUG WITH LIZARD BRAIN THAT GUARANTEES HIS SURVIVAL ABOVE ALL ELSE.IF DEMS R WAITING 4 HIM 2 HAVE EPIPHANY,GOOD FKNG??. She also lamented "how people could condemn me after all I've said and done?" As for how Cher's fans could abandon her? Well, perhaps they finally noticed a troubling pattern in her discography.